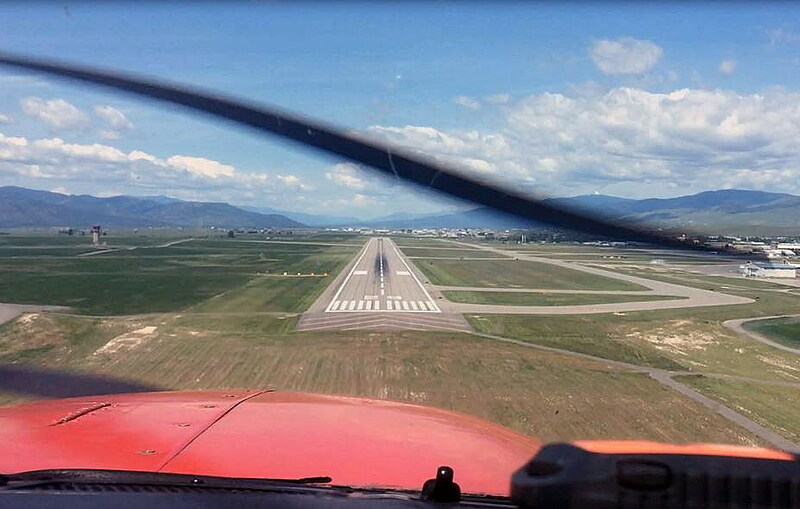 It didn’t happen overnight, but somewhere along the way the magnetic alignment at Missoula International Airport shifted more than 5 degrees. And that will cost the airport a lot of paperwork and roughly $60,000 to address. Jensen said the runway numbers are assigned based upon compass settings. If one were to stand on the runway and align his or her compass, it would read 110 degrees at one end and 290 degrees at the other end. That resulted in the original runway designations 11-29 and 7-25. They will soon be changed to 12-30 and 8-26, marking a change of roughly 10 degrees. While that sounds easy, Jensen said it’s a bit more complicated, as it changes the airport’s approach procedures. And that requires coordination with the Federal Aviation Administration. Jensen said the FAA will have to flight check the new designation and approach procedures using an instrument landing system. The magnetic variation will require remarking of the runway designators, the placement of new airfield sign panels at every hold bar, and new runway direction signs. The airport has contracted Morrison-Maierle to complete the work and conduct runway pavement maintenance in the process.